For May Fourth Friday, Marco Vangelisti, who’s been a major force in the Bay Area Slow Money movement, will give the second in his three-part series on Essential Knowledge for Transition. Come whether or not you were able to catch the first part! In the face of increasing economic instability, building a resilient, enduring and equitable local economy is vital. To achieve this, we need to understand the current economic system, how it affects our communities and ways to transform it. At the May Fourth Friday, Marco will help us understand the current economic crisis in its historical context, how we dealt with the last major crisis in the 1930s and how we are (counter productively) dealing with it now. He’ll also explain the economic system and alternative ways of structuring it so that it democratizes and localizes economic activity and anchors wealth and capital formation in our community. 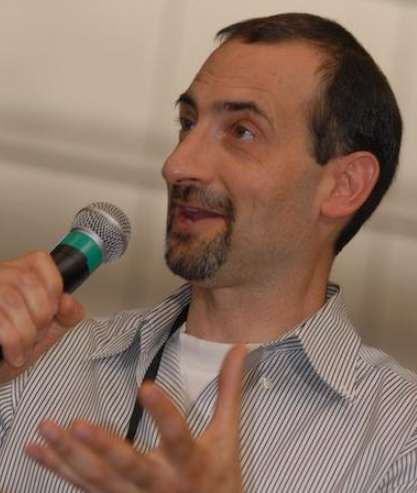 Marco’s a knowledgeable and engaging speaker – you’ll learn and enjoy doing so!